Ikonic front Whitco Safety Lock back. Plate detail for Whitco Tasman mark 3. Ikonic front Whitco tasman Mark 3 back. Ikonic front view showing plate needing some Heritage Green paint. 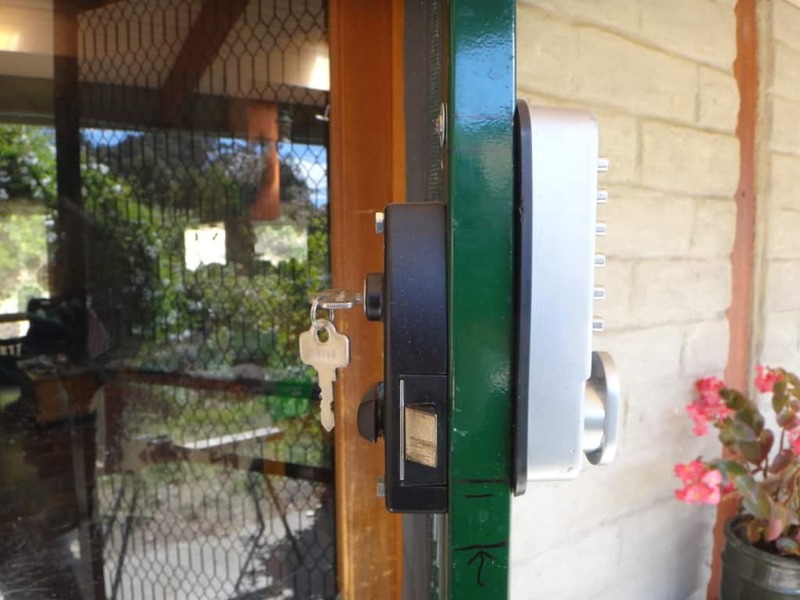 I installed the first of these on our front door when the kids were in primary school so that they could let themselves into the house without a key. (I KNOW that it was probably ILLEGAL for them to maybe be home without an adult carer! Get OVER it! So much Nanny State nonsense is ABSURD – I was ever about somewhere on my mobile). 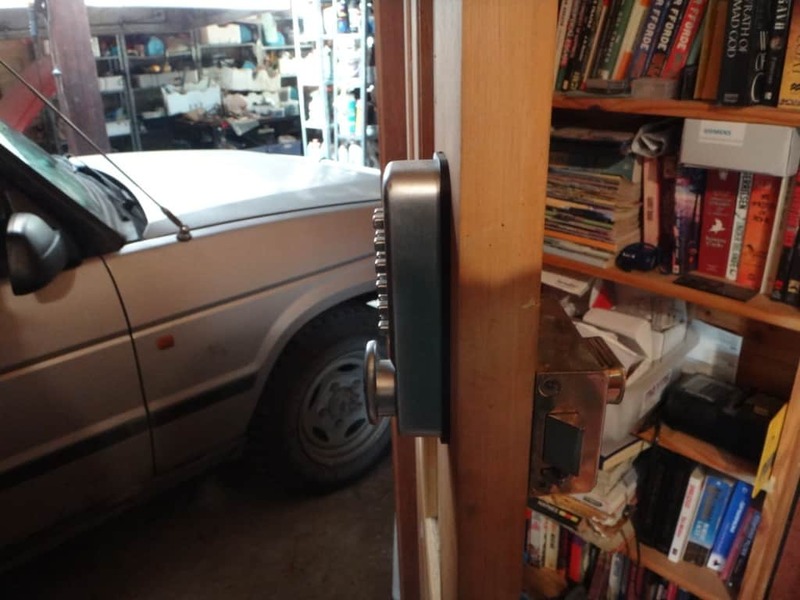 Then (as now) you had to buy TWO complete locksets so that you had a keyed deadlock on the inside and a digital lock on the outside. I have complained to Lockwood several times that this is ABSURD. 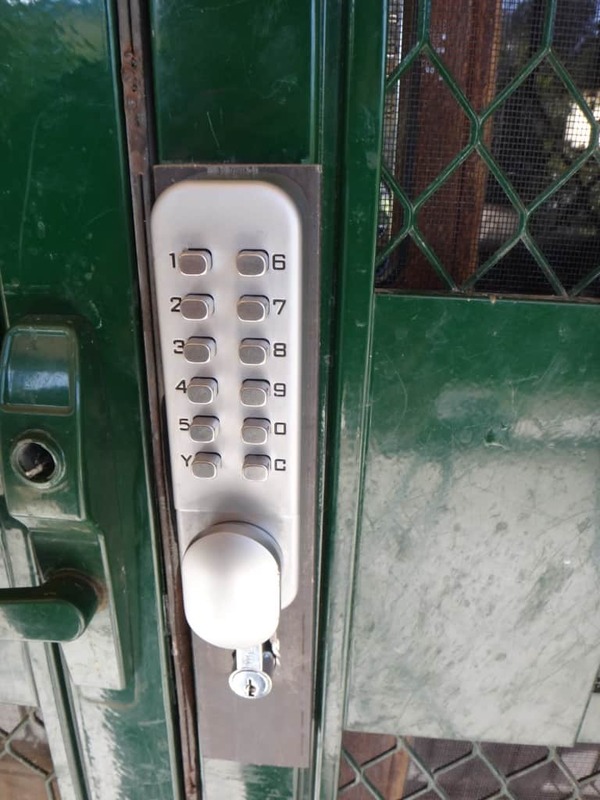 Currently no-one produces digital locks for SECURITY DOORS. Even more absurd. 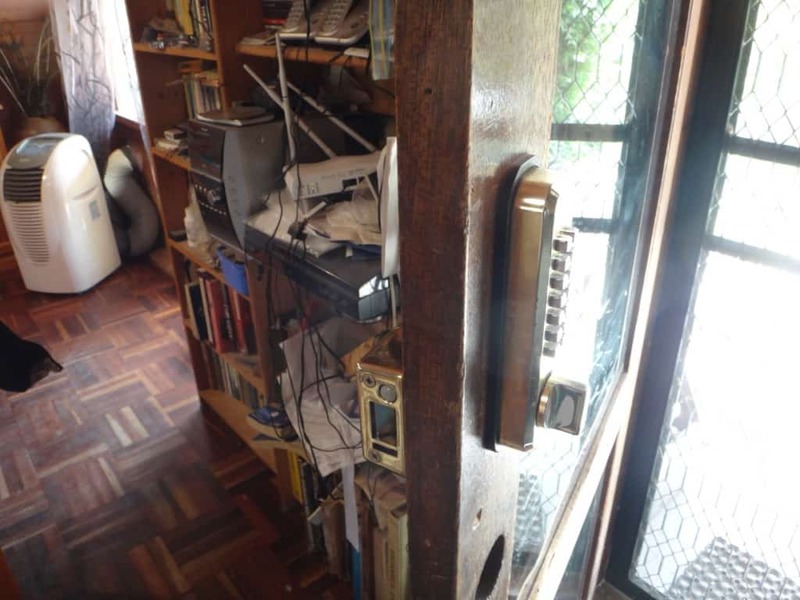 It is not hard to understand why folk might want their security door locked to the outside whenever it is closed. I include some photos showing two different ways to fit them (using Whitco products). Again, you have to buy TWO complete locksets for each door! 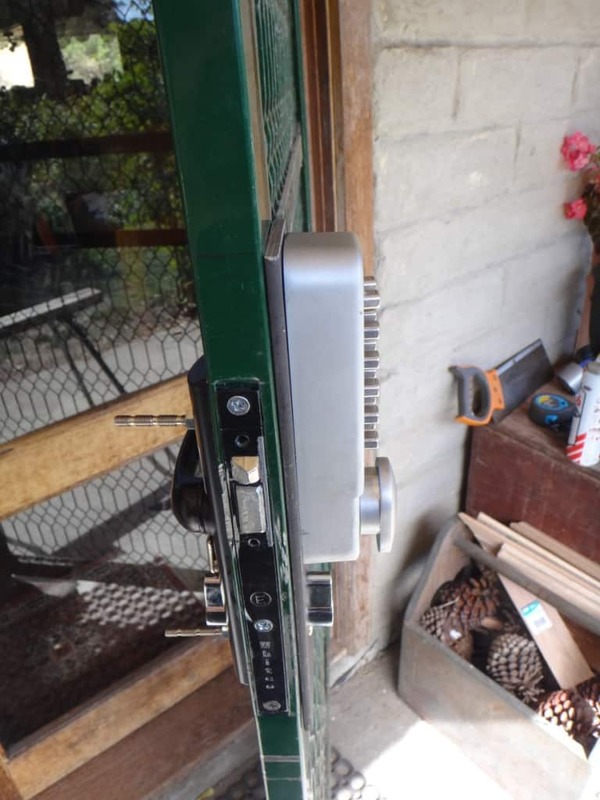 I have just finished fitting a Whitco Tasman Mark 3 one side and an Ikonic (Bunnings) digital lock to the other side. As you can see you need an extra steel plate. 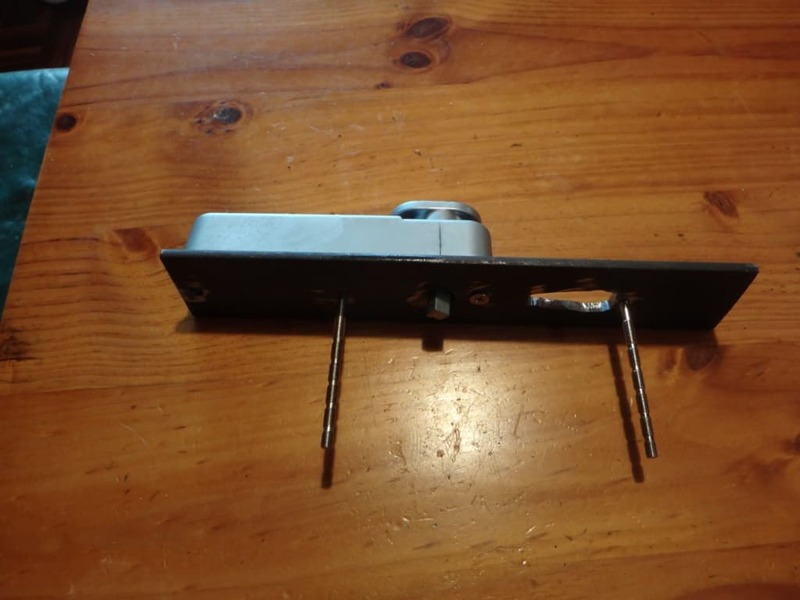 I will now be purchasing the Whitco Tasman Mark 2 locks for my security doors with the two (triple lock) accessory kits needed to make the door lock in THREE places, and will add a third hinge. When I am done with that I will start on Security Screens for all our windows.